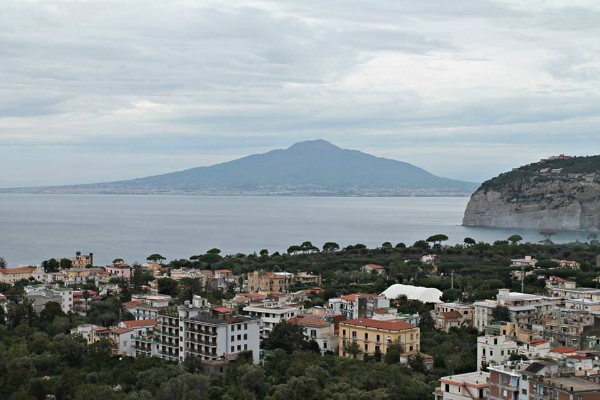 Today we’re heading down the Italian coast to beautiful Sorrento! This was the last stop of our Italy trip and it was such a great place to end the tour. After spending almost two weeks in the bustling cities (Venice/Florence/Rome), peaceful Sorrento was the perfect escape. We left Rome in the morning and made our way down the coast. 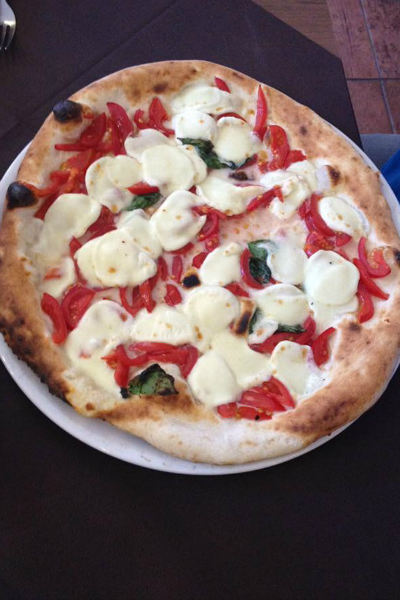 We stopped in Naples for lunch at a pizza shop recommended by our driver. His family lives in the area and he said it was the best. Unfortunately, I don’t remember the name, but the pizza was delicious and the owners were so welcoming to our large group. We made it to our hotel in the late afternoon and we were stunned by view from our hotel room. That’s the Bay of Naples and Mount Vesuvius! The rooftop pool deck also had a great view of the city. 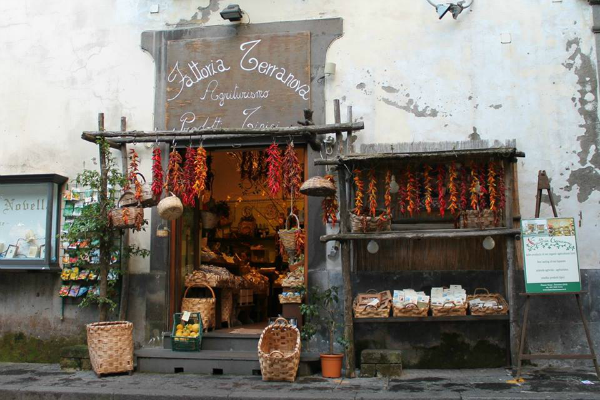 We spent the afternoon and evening in Sorrento exploring the area and shops. The area is so beautiful and it was so nice to be near the water again. Anyway, we were supposed to take a boat tour around the island, but it was too windy, so we ended up having to take a bus around the island instead. The views from the bus were pretty amazing. 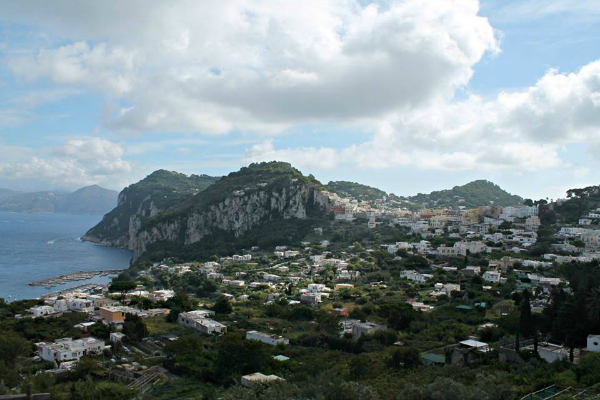 Capri is a beautiful place, but it was so crowded! I’m glad I got to visit, but would never need to go again. I wish we could have visited the Blue Grotto, but we did see some other very pretty places while we were on the island. I think Capri would have been better experienced by boat. We were pretty sick of the crowds by this point in our trip, so we didn’t enjoy our time on the island as much as we would have thought. After a few hours of exploring, shopping, and eating lunch we rode the funicular down the mountain and took the ferry back to Sorrento. We spent the rest of the day shopping and exploring more of Sorrento. We ended up calling it an early night because we had to be up early in the morning for our excursion to Pompeii, which I’ll share in another post soon. 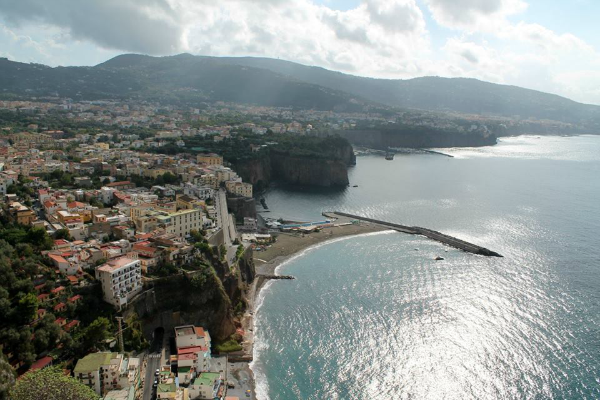 Ok, can I please go to Sorrento now?! 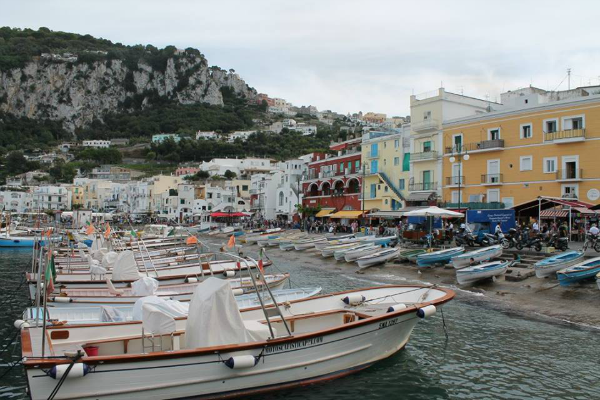 I have heard a lot about Capri, but not much about Sorrento- though in my experience it's usually those less talked about spots that turn out to be the most exciting! 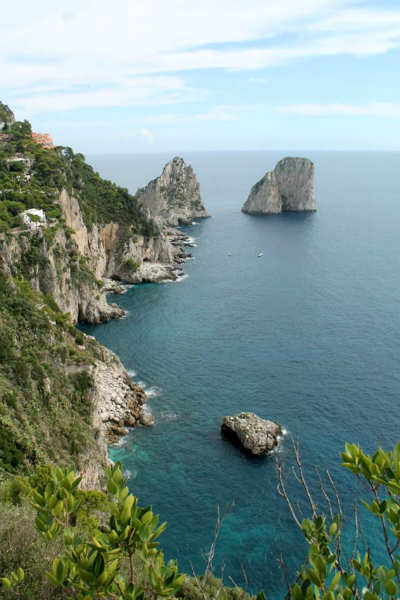 Glad I read the advice on Capri; we are not much for huge crowds when traveling! I also wanted to let you know you were my favorite read from last month's #TravelTuesday linkup and so I shared your Glacier National Park post with this month's linkup. Feel free to join in again! 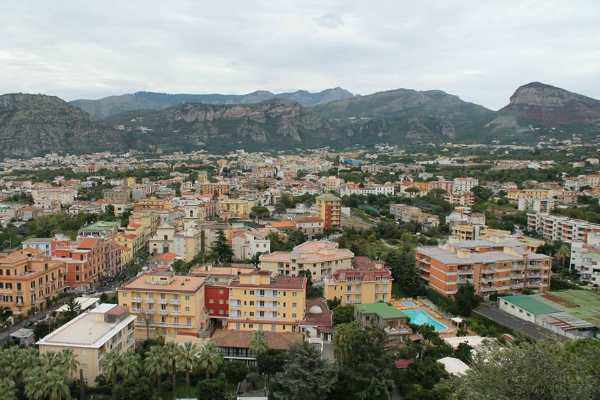 I am sure others would love to read about Sorrento! Yay! Thanks for the feature! I'll be sure to stop by and link up again! I love your pics, Sam. The weather was so much nicer for you than us. My pics were cloudy. It rained earlier in the day and they canceled our trip to the Blue Grotto because of weather. We rode a ferry over and I did feel nauseous. It was rocky and crowded. We didn't get to explore Sorrento. Only had a dinner meal there and left for Pompey the next day. Fun to see your shots of some of the same views. Thanks Bonnie! We lucked out with great weather for most of our trip. That's a bummer that you felt nauseous on the ferry ride. It was pretty windy that day so I'm surprised I didn't get sick too. eheh Capri is always so crowded!! ;) But the island is beautiful. If you go again, you can have a walk outside the town center, there's a very beautiful path to the "natural arch" and for instance there there is almost nobody and the views are wonderful!! 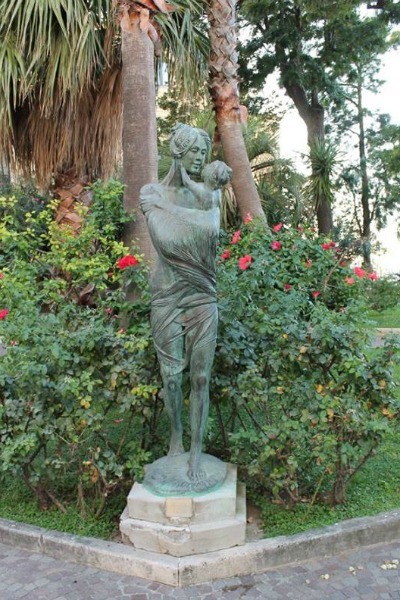 I'm glad you enjoyed Capri! It really is such a beautiful place. From what I've read it sounds like it's usually pretty busy and we were there in early October last year, so maybe you guys were just lucky or found a less crowded area? Thanks for stopping by! Gosh this takes me back. 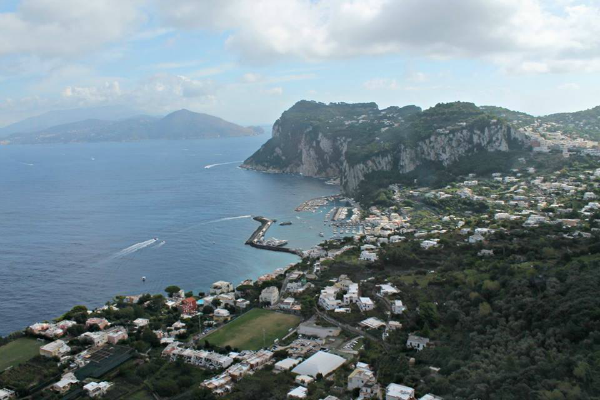 Visited Sorrento and Capri when I was about 13. I still remember the fabulous views from our hotel. Capri wasn't as busy and the main thing I remember is my brother having the most wonderful Calzone pizza in a restaurant there - so different to anything we were eating in the UK in the 1970s! 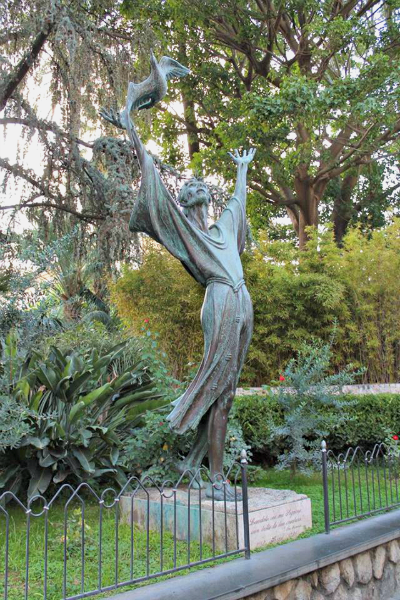 Your trip to Italy looks amazing! It's definitely on my bucket list! I just can't get over those views!